Black and white are a never-fail, go-to color combo! 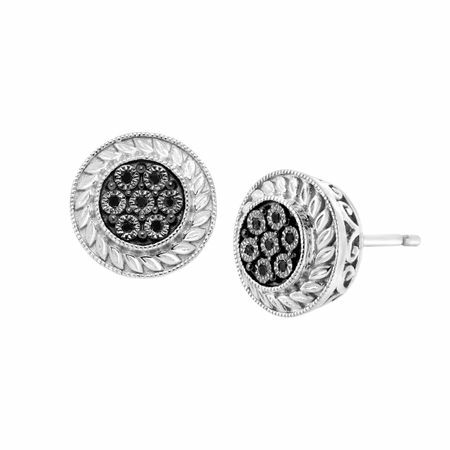 Round-cut black diamond accents dot the face of these sterling silver halo earrings, which feature ornate filigree detail around the edges and on the sides and are finished with posts with friction-backs. Pieces measure 3/8 by 3/8 inches.